People always postpone hiring a qualified plumber because they are worried about the cost. Our Coto de Caza plumber will respond immediately to your call for plumbing repair or periodic maintenance. Rest assured that when we come over, we already have with us all the necessary tools and spare parts so we will not have to rush back and forth for anything else. When you call us while the problem is still small, we can cut the costs to the minimum. This helps us manage our time better, reducing overhead costs in the process, the reason why we can afford to offer our services at the most reasonable rates. Our skilled plumbers at OC Plumbing Pros will not disappoint you. Because this saves us time, money, and effort, too, we are able to reduce our service rates to a level that is comfortable to you as well as to us. Call us 24/7 at (949) 371-8413. Affordable Installation and Repair of Water Heaters: We understand how you will feel when your water heater fails at some point. If it is fairly new, perhaps, it needs just a little tweak here and there to get it up and running again. Nevertheless, before you start shopping for a new unit, have our team over to check if repairs can still be done or if purchasing a unit is imminent. Our experts can also determine if your unit is appropriate for your daily requirements, and advise you accordingly. Having us over also allows us to check if you are using your heater to its full capacity, or beyond its capacity. Maintaining Your Drains to Avoid Bigger Repairs: Homeowners tend to overlook the importance of clean drains, until water backflows, refuses to go down the drain, or if at all, is slow to do so. It looks bad as it is, and terribly unhealthy. But we are here to deal with things like this, using our high-tech gadgets and our expertise to safely and completely unblock the clogs from your drains. More savings for you, of course. Detecting and Repairing Hard-to-Find leaks: If you cannot locate the leak yourself in your Coto de Caza property, especially in the case of slab leaks, which are difficult to spot without the proper tools, have our qualified team over to check it out and repair it. Leaks have the potential to create havoc to your property and increase your water bills by folds. This is why it matters a lot to find out where the leaks are coming from. Emergency Plumber Coto de Caza – Call Us Now! We Will Handle Your Re-piping or Pipe installation Needs: If you have a damaged water pipe in your Coto de Caza property or if there is a need to relocate your pipes in order to conform to the new property plan, keep us in mind to perform what is required in compliance with safety codes. Rather, let us take a look at it and advise you if your system is repairable or not. Do not make the mistake of attempting to repair it yourself, because without sufficient knowledge and skills, you can end up damaging your unit. Therefore, give us a call and we will see if your unit can still work just fine after repairing it. Keep in mind, the repair or the installation of a garbage disposal system requires a good amount of skills, and the right equipment, of course. Toilet Installations and Repairs: Of all the DIY projects, homeowners won’t ever touch the toilet even if they want so much to save money. The common sign is the noxious odor coming from a gas leak in the sewage or clogged toilet. Contact us immediately so we can help protect your family from harm. Besides compromising comfort, it can also compromise your health, more so if the problem occurs in your home. But somebody has to do it. Round The Clock Emergency Services By OC Plumbing Pros: You can call the OC Plumbing Pros number 24 hours a day, seven days a week. Every call is processed right away although the estimated arrival time will depend on traffic and distance, of course. We know the nature of each problem, but there are issues that are more severe than others. Plumbing problems are not only inconvenient, they also can cause damage to property and health if left unattended for long – (949) 371-8413. Call Our Friendly Customer Representatives for Any Problem: All our high-quality technicians are trained on customer service so they can explain to you in layman’s terms the options available for you. 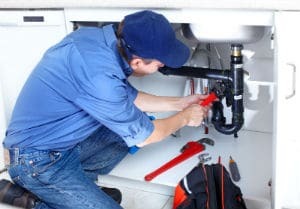 Our Coto de Caza plumbers are continuously trained to keep up with the demands of the time, and they can share with you whatever knowledge they have regarding plumbing maintenance. Please understand however that while we can give you a price quotation, the estimate may change depending on the results of the ocular inspection. In this case, we can rightly claim that OC Plumbing Pros is synonymous to quality and competitive pricing. Call our plumbing contractors today at (949) 371-8413!